Developer Incentives offered only thru February 18, 2019! 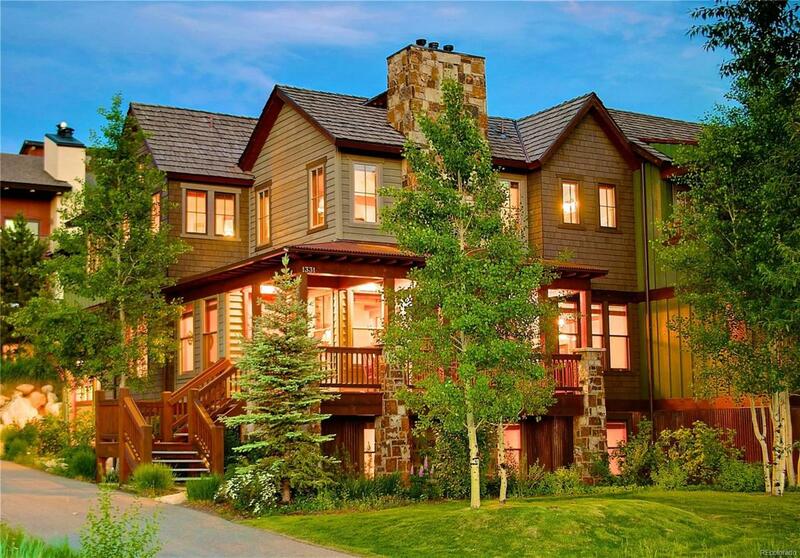 The Porches is a private community located at the base of the Steamboat Ski Area with a neighborhood feel. This Blue Spruce floor plan offers 2 living areas, a pool table, 5 bedroom suites, a main level master, a spacious bunk room, 3 fireplaces, central air, ample storage and an attached 2 car garage. Sold fully furnished / turn key, this 1/8 ownership allows over 40 nights per year plus unlimited "space available stays. The Porches is also a member of The Registry Collection, an exclusive collection of properties around the world. Your family and guests will enjoy the top-notch staff and all the amenities such as the clubhouse, fitness center, locker rooms, steam room, pool, hot tub, shuttle, and housekeeping. Sleeps 14 people very comfortably and is the perfect place for family and friends to relax and enjoy Steamboat living. Hassle free living like nowhere else in Steamboat.